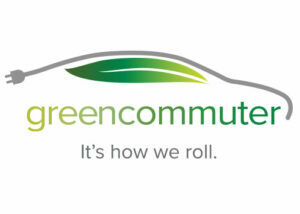 Green Commuter has developed an innovative system that will utilize a fleet of 100% zero-­emission vehicles to provide a combined service of vanpool, car sharing, and fleet replacement. Its goal is to help alleviate traffic, mitigate air pollution, and reduce the cost of commuting. Current vanpool commuters only use their vans between 10­to­15 hours per week (based on an average 1­to­ 1.5­hour commute each way for five days). That is only 6­9% of the time during any given week, leaving the van unused for the remaining 91­94% of time. In order to address this deficiency and maximize the utilization and efficiency of the vehicles, Green Commuter has developed a new model that will use the vanpool vehicle, when it is not commuting people to and from work, as a public car share vehicle or to replace an employer’s fleet vehicle. The goal is for the synergy between the systems to dramatically increase the benefits of their stand­alone schemes. Projected emissions reduction of 43 MTCO2 per vehicle per year. Partnership with Los Angeles County. LCTOP grant awarded for pilot project in Fresno County. Partnership with San Joaquin Valley Air Pollution Control District.